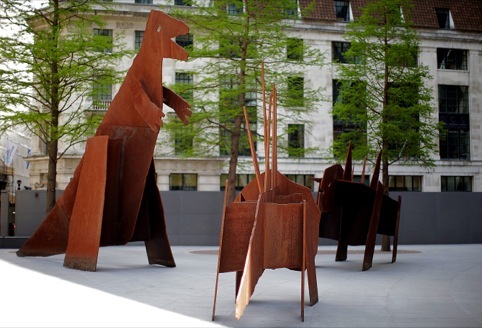 Dinosaurs roaming around the Gherkin, twisting strings in St Helen’s Square and chairs hanging precariously from the side of the Hiscox Building. 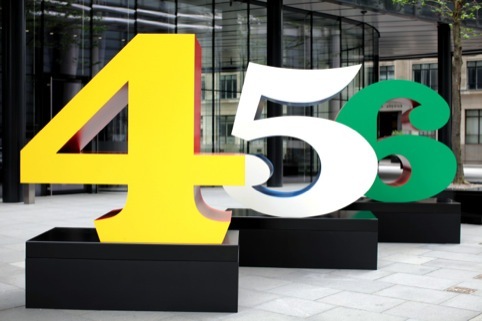 Such are the unexpected sights greeting visitors to the City of London as part of this year’s Sculpture in the City programme. 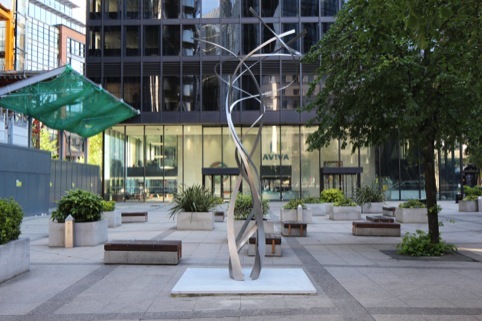 Organised by the City of London Corporation (with landowners and stakeholders including British Land and Aviva), the initiative is part of the corporation’s public art programme. 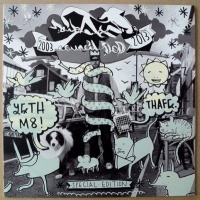 Works such as Jake and Dinos Chapman’s The Good the Bad and the Ugly (the Gherkin dinosaurs) are liberated from galleries or storage and placed publically in the City. 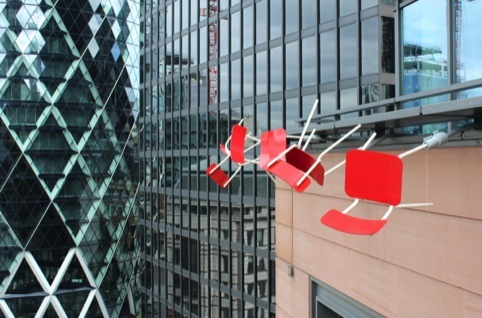 The red-and-white kitchen chairs comprise Richard Wentworth’s Twenty-Four Hour Flag and are mounted on the side of the Hiscox Building, while the metal ‘strings’ in St Helen’s Square form Shirazeh Houshiary’s String Quartet. 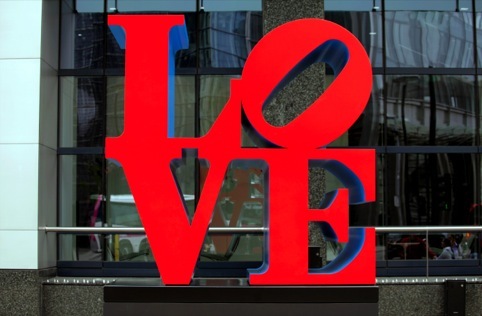 Other works on show in the initiative include Robert Indiana’s Love and Numbers and Ryan Gander’s More Really Shiny Things that Don’t Mean Anything. 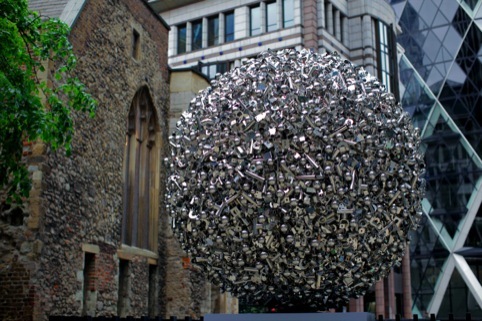 Sculpture in the City runs from 20 June 2013-May 2014 at various locations in the City of London.